CEM Systems, part of the Security Products business unit of Tyco (NYSE: TYC), is a leading provider of access control and integrated security management systems. With over 25 years’ experience in the security and IT industry, CEM uniquely manufactures both hardware and software, offering one of the most comprehensive, resilient and reliable systems available. Used by many of the world’s leading airports for over 25 years, CEM’s AC2000 Airport security management system is an aviation specific solution that has a proven record as one of the most reliable and resilient security solutions available. The flexibility and high quality offered by AC2000 Airport is a key factor in its suitability for the aviation environment. 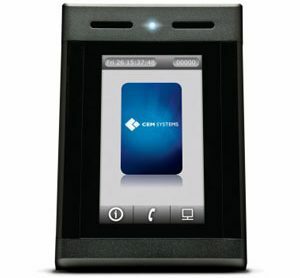 AC2000 Airport features a host of additional functions that have been specifically designed for airports including card charging, authorisers, airport utilities and IATA code. To allow for changes in the aviation industry, AC2000 Airport software and hardware is highly flexible to meet project needs for integration or customisation. AC2000 Airport also incorporates built-in user definable fields that enable airports to build a self-configured, customised system. Acting as the Security Management System (SMS), AC2000 Airport provides high levels of integration and one powerful command and control front-end for alarm management of multiple airport security systems; including access control, video, intrusion, fire, perimeter detection and much more. AC2000 Airport supports unlimited cardholders and doors, featuring virtually unlimited expansion capabilities. This is ideal for airports that are sizable and subject to continuous growth over time. CEM’s AC2000 Airport software solution is supported by a range of industry leading hardware products including the intelligent S610 IP reader range, the emerald touchscreen terminal, portable access control readers and more.